Kee Eun Trading Co., Ltd. The tourism industry flows of both inbound and outbound travelers offer a bright outlook, due to the merit of South Korea as a destination, and also due to the growing demand for overseas travel. As evidenced by South Korea’s advanced IT and the impressive penetration rates of high-speed internet and smartphones, the online and mobile channels are becoming more important for travel sales. In addition, the social commerce companies are also strong players in this market, as they offer attractive travel products at very reasonable prices. The new supply of facilities such as accommodations and rental services will be concentrated within the next few years, with prospects up to 2017. Tourism industry infrastructure in South Korea will also be improved, with the government’s supporting strategies. The market for travel suppliers is becoming more competitive, but will result in a higher level of products and services, increasing customer satisfaction in the process. 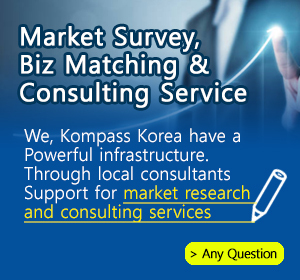 With over 900 South Korean companies registered in the Kompass B2B worldwide database, the Leisure & Tourism sector represents small activity sectors within our database. This family includes hospitality, catering, conference centers, sports, entertainment, etc.